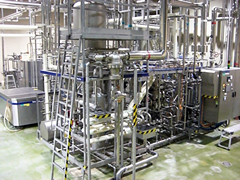 Plant Facility Information | Tsukuba Dairy Products Co., Ltd.
Technical and engineering improvements are made to production lines at Tsukuba Dairy Products to provide products that ensure consumer peace of mind and safety, and to further reduce cost. 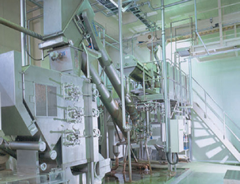 There is no time to rest when making ideal production lines that meticulously control the hygiene of ingredients and when putting effort into their delectability and safety. 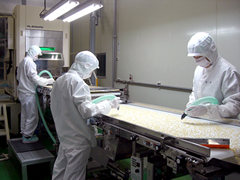 Product lines are the foundation of Tsukuba Dairy Products. We repetitively review all processes in our endeavor to create even higher-quality products. 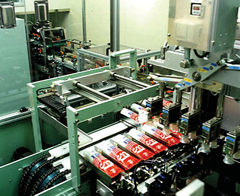 A line that automatically fills condensed milk into tubes. 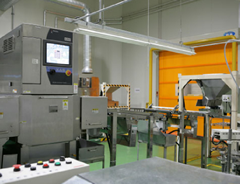 Automating the production line achieves high quality and high productivity. A line that mixes powder ingredients, such as powdered skim milk and lactose. Using a vacuum concentration machine, fresh raw milk is gradually concentrated. 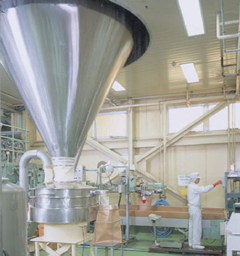 This is a production facility that supports delicious condensed milk and powdered milk. Stainless steel tanks that store raw milk at 5℃. 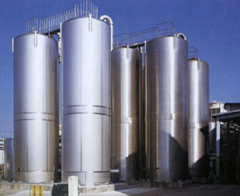 A total of 900 tons of raw milk is stored under optimum storage conditions. 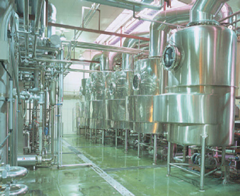 High-temperature pasteurizing equipment using a centralized management system. We use cutting-edge technology for thorough and strict monitoring. 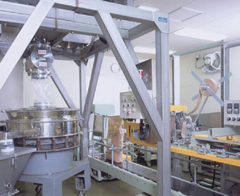 A line that produces powdered oil. Adapts to any production depending on the various needs of clients. Sprays a mist of concentrated ingredients and dries them at high heat to produce powder products. Larger equipment makes mass production possible. The largest nut processing line in Asia. Achieves stable provision with leading technology and systems. A machine that removes foreign substances and accommodates all product types. 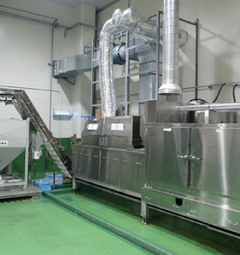 This cutting-edge sorting machine optimizes the removal of foreign substances. 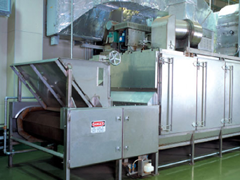 A line that continuously peels washed and parboiled almonds using rollers. 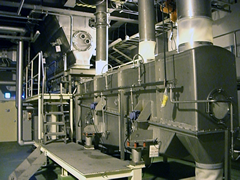 A line that roasts products utilizing the energy of hot air using a machine called a proctor. A process to vacuum and sort imperfections in peeled diced almonds. A line exclusively for walnuts. All phases of production from processing to sorting takes place on this line. The 21st century is the era of the environment. 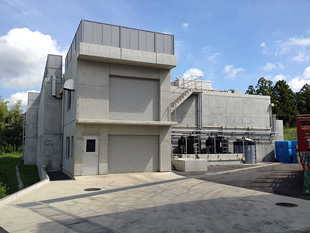 Facilities at Tsukuba Dairy Products are built with care for the environment in mind. A facility that treats rinse water from the plant. Implements eco-friendly treatment.